Winter is fast approaching but the dark mornings and evenings needn’t put you into a dark mood when you have a luxurious bathroom to give you a reason to get out of bed in the morning and provide a relaxing sanctuary when you get home from work. An invigorating shower experience: Wake up with a massage from an energising power shower and get yourself ready for the day. No one wants to leave their nice warm bed on cold winter mornings but when you have a revitalising luxury shower to step into, you may find it just a little bit easier to get up! Set the mood with festive lighting: Channel the magic of winter with low lighting, candles and underwater mood lights – create your very own winter wonderland in your bathroom. Add a few drops of your favourite essential oil to your bath or an oil burner and enjoy a full sensory experience. 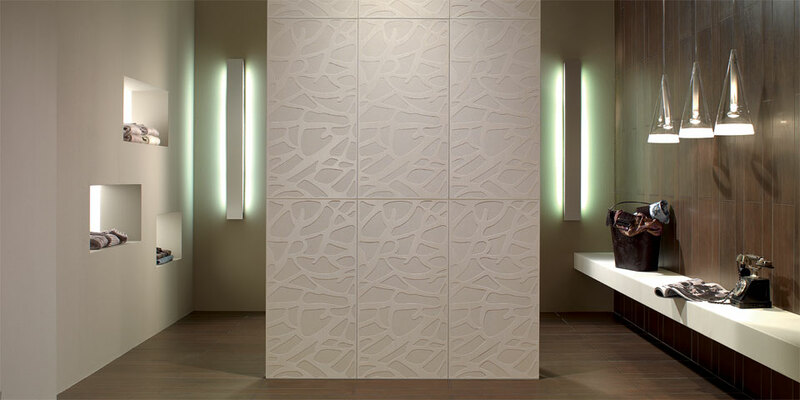 Choose the right materials: Natural tiles and warming wood help to make your bathroom feel welcoming and comforting. And don’t forget sumptuous towels and bathrobes for cuddling up in afterwards. Keep warm! 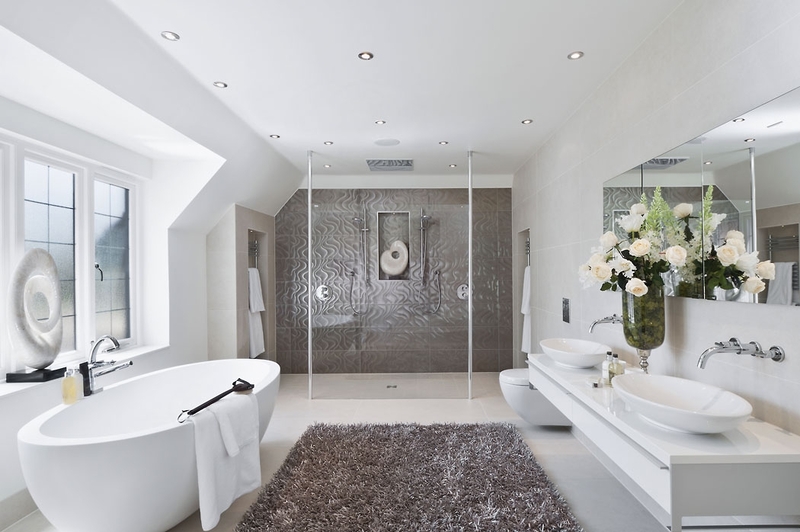 Under-floor heating is an economical and effective method of keeping your bespoke bathroom warm, whatever the weather. There’s nothing worse than cold tiles underfoot, so make sure your bathing experience is always relaxing, even in the depths of winter. For help creating your perfect luxury winter bathroom visit www.conceptvirtualdesign.com. Concept Virtual Design offers bespoke bathroom design in Wentworth and the surrounding area, allowing you to create a bathroom that really works for your space. Trying to make standard fittings and pre-made elements fit a bathroom space can sometimes be like battling with a jigsaw full of different sized puzzle pieces – it’s far more effective and aesthetically pleasing to use properly-fitting fixtures and sanitary-ware than have to adjust your interior design to suit prefabricated items. Refurbishing a bathroom or designing one from scratch is a chance for you to have exactly the fittings and style you’ve always wanted – from basins to storage, tiling to lighting design. Few room measurements are exactly the same, and every aspect of construction and decoration needs to be taken into account when designing a bathroom, including the position of pipes, electrical outlets, the amount of natural daylight that you have access to, and how your interior design matches or complements the rest of your house. Building a bathroom or shower room from scratch offers many benefits and allows you to fix all the little errors and irritating mis-fitting elements in your existing room. The great thing about bespoke bathroom design is that you don’t have to compromise on your choices – standard sized fittings often mean you can’t use your room efficiently, whereas bespoke interior design means you can make the very best of the space available and even add in extras that you couldn’t have considered before. 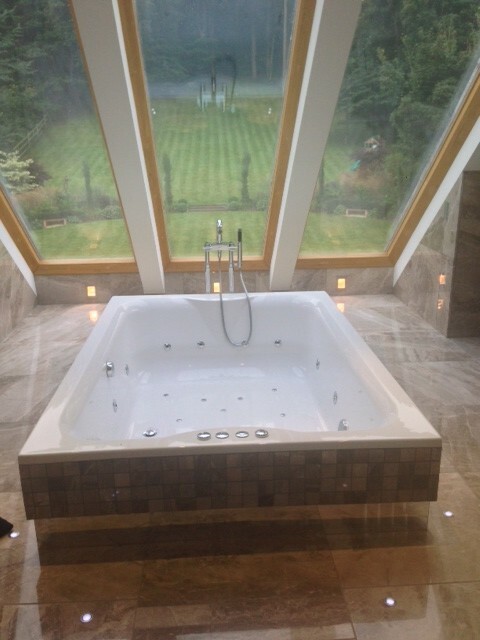 Or even waterproof AV technology for a multimedia bathing experience! 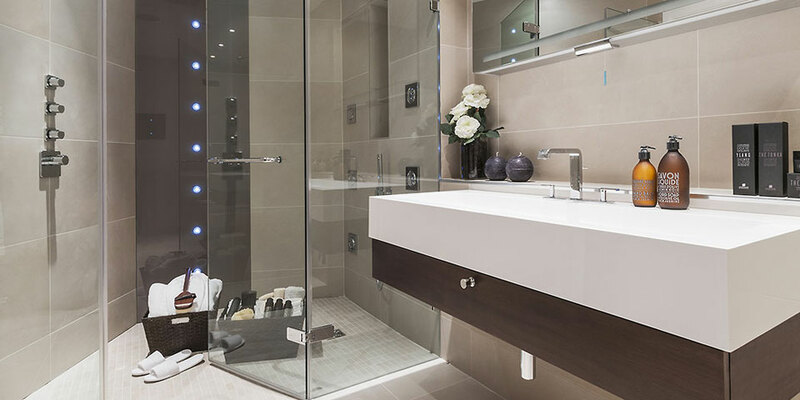 By using a professional bathroom designer you will be able to customise your room to suit your needs and your tastes exactly, making getting ready in the morning and relaxing in the evening a truly wonderful experience. 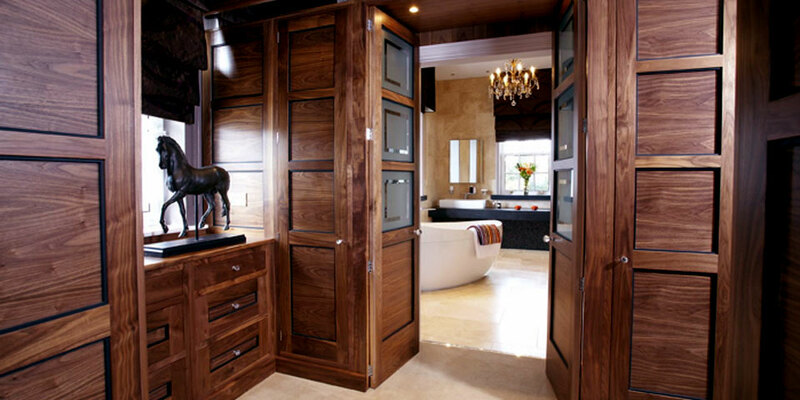 And, of course, with a bespoke bathroom, you will be able to enjoy a design that is completely unique to you! If you’re in need of a bathroom designer in Wentworth or the surrounding area, please get in touch with us at www.conceptvirtualdesign.com to see how we can make your bathroom vision a reality. At Concept Virtual Design our bathroom designers have worked with several luxury housing developers, private home owners, businesses and architects in Virginia Water to create beautiful, bespoke shower rooms, wet rooms, master baths and en-suites with close attention to detail and a unique style. We believe luxury bathroom design should be as attractive as it is functional, and each element should fit and complement the room perfectly. 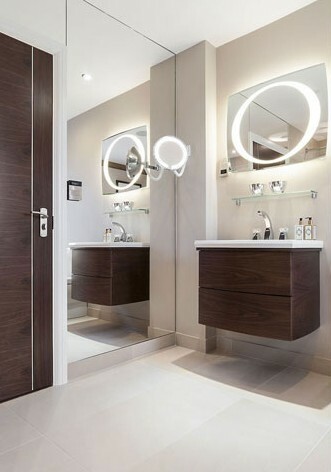 We work closely with clients in the Surrey area to ensure we pay attention to the little details as well as the main fixtures and fittings of each bathroom we design – that means choosing lighting that offers a range of atmospheres, efficient storage that ensures a clutter-free bathroom, and a bathing environment that inspires, invigorates and relaxes. 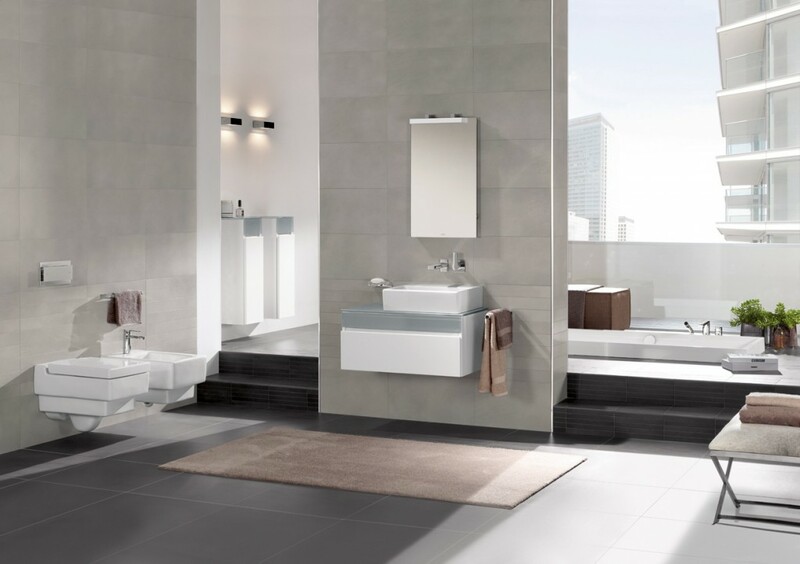 As your first port of call in the morning, your bathroom needs to provide a refreshing and welcoming space to get ready for the day – preferably with a energising luxury shower or wet room. Whether you’re getting ready for a night out, bathing the kids before bed, or simply indulging in an afternoon bath – your bathroom has to be adaptable for the whole family. 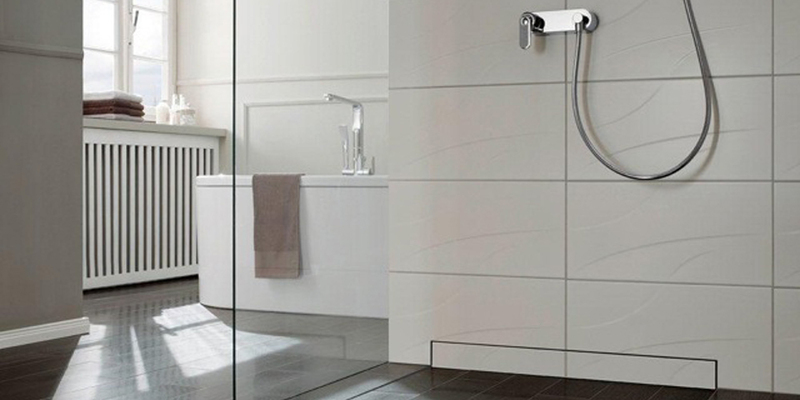 At the end of the day, your bathroom should be a place of sanctuary with a revitalising choice of bathing options. Dim the lights, put on some music, treat yourself with spa bath jets or a massaging shower, some aromatherapy, and relax. Creating your perfect bespoke bedroom means bringing the entire design together in a cohesive way – incorporating an effective layout with quality furniture and all the little details that make your room unique. Your bedroom should be a tranquil and luxurious place where you can relax at the end of the day, but it’s needn’t be just for sleeping! Your bedroom can also be your dressing room, a place to read or watch films, or even act as a home-office. To design your ideal bedroom, you need to decide exactly what purpose the room will serve. If you’re a developer designing several different types of bedroom, think about the type of buyer you want to appeal to – young professionals, families, people looking for a retirement home – and consider the types of bedroom fixtures and furnishings that would be most useful to them. When we work with architects, developers and project managers to design bespoke bedrooms, we look at the whole design as well as its composite parts, from top to bottom. Our A3 colour design and setting out service means that you are able to refer to a detailed plan of the room at every stage of construction and decoration, including individual elements like lighting and electrics, door positioning, and dimensions of bespoke furniture like built-in wardrobes. This allows each trade to work efficiently with each other and reduces the risk of delays or mistakes. So, what are the elements that make a beautiful bespoke bedroom? First, it’s essential to create the right floor plan. Traffic flow will move move mostly between the bedroom and the bathroom, so you may wish to incorporate an en-suite or wet room into your plans if you have the space. Similarly, walk-in wardrobes or dressing rooms can elevate a bedroom into an exclusive area that makes getting ready each morning a joyful experience. If you have any existing large pieces of furniture that you want to include in your plans, like a bed, storage, shelving, artwork, or seating, make sure you take accurate measurements so that you can make the best decision about positioning each piece. Try to keep your bedroom design as simple as possible, with enough storage to ensure that the room stays de-cluttered and clear. Bookshelves, under-bed drawers, floor-to-ceiling wardrobes, and storage chests are all options that allow you to keep your bedroom tidy while complementing with your overall aesthetic – choose materials, colours and textiles that suit your design to co-ordinate with other elements in your room. Define a few choice focal points such as a stunning statement bed or headboard, a beautiful built-in wardrobe or a vintage piece of furniture. Complement these with timeless and stylish design choices like hardwood floors, shuttered windows or a luxurious rug. Add your own unique style with individual details such as artwork, feature walls, bed linen, cushions, or even by incorporating luxury tiling into your bedroom decoration. As discussed in one of our previous blog posts, interesting tiling can create an amazing look for bedroom walls, and even work as a headboard. 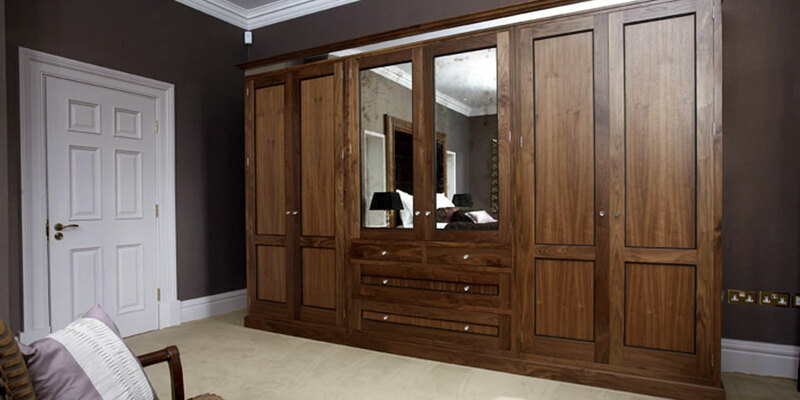 Walk-in wardrobes or bespoke fitted wardrobes are a must in any luxury bedroom, providing you with the space and organisation to store and display your clothes and accessories while keeping in line with your overall bedroom design. The great thing about built-in wardrobes is the ability to pick and choose different storage elements; from rails to drawers to shelves to specially designed shoe racks and tie holders! And finally, don’t forget about lighting. To set different moods in your bedroom, you’ll need the ability to choose between a variety of lighting styles: from bright and welcoming to warm and romantic. Discuss lighting options with your interior designer and architect to incorporate fixed lights into your bedroom, and consider additional lamps and lights to be positioned around the room. 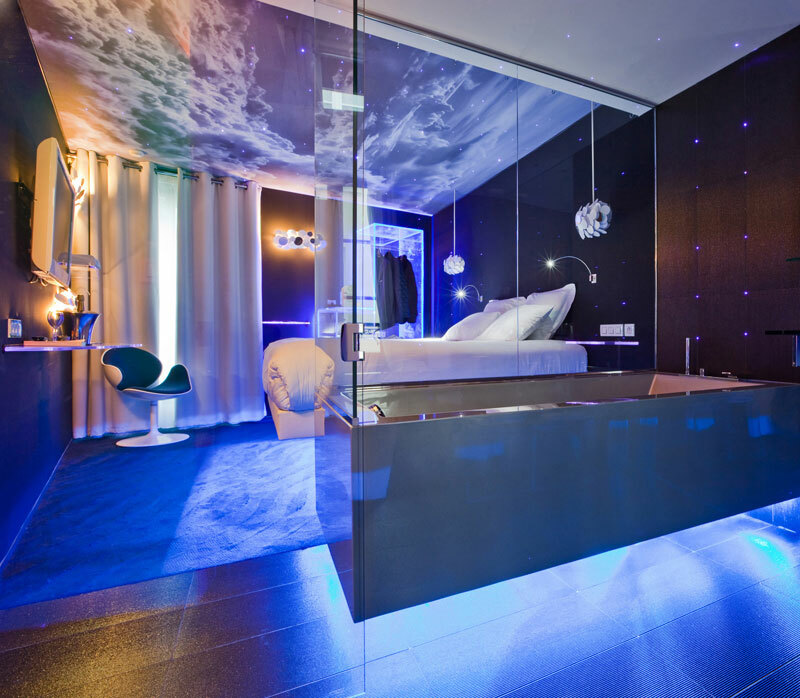 For more examples of beautiful bespoke bedroom ideas, get in touch with us at Concept Virtual Design. Once a room for cleansing and grooming, the bathroom is now a place to retreat to – your sanctuary from the outside world; a place to spend quality time indulging yourself. 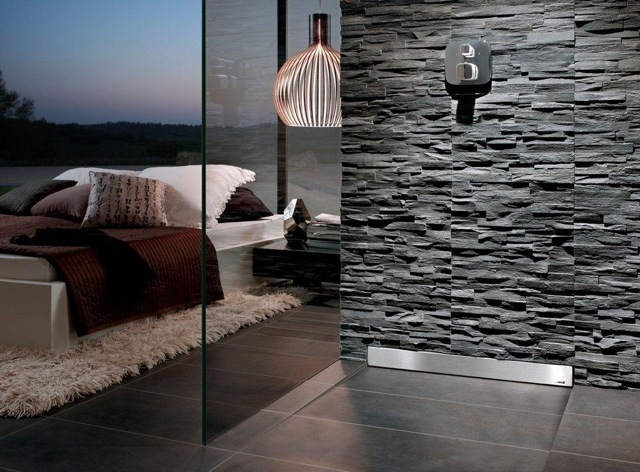 The amount of space dedicated to the bathroom has increased and defining different zones is fast becoming the norm. Areas for preparation, rejuvenation, recreation and relaxation all have a role to play in a spa bathroom. A new bathroom is now an investment in your health and wellbeing; let GROHE SPA collections transform your daily rituals into sensational experiences. We regularly work alongside quality architectural practices, refurbishment specialist contractors, main development contractors, luxury house builders as well as one off private client contracts. 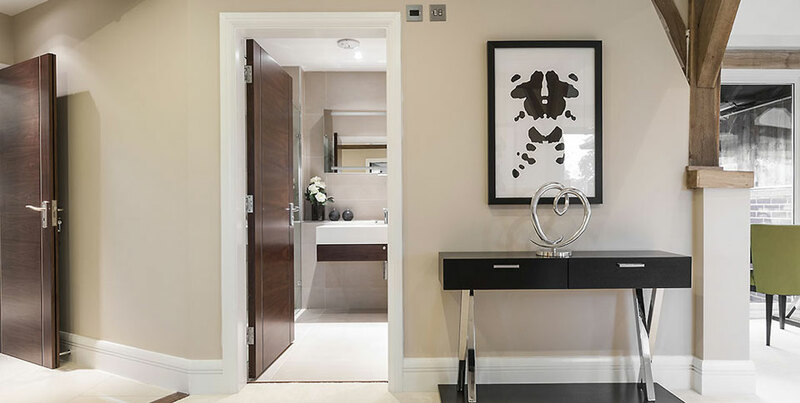 Luxury interior design for developments is all about finding a balance between style and budget while ensuring that fixtures and furnishings are high quality. Concept Virtual Design’s setting out and A3 colour design service ensures that contractors have every detail they need to carry out work efficiently and quickly, saving you time and money and keeping to your schedule. Our designs include precise details of pipe positioning, electrics, doorways, windows and everything each individual trade will need to know to get their jobs finished fast. This particular project focused on striking contrasts between dark and light, old and new, with traditional elements working seamlessly with modern fittings and decor, such as athe combination of beautiful exposed beams above a chic, contemporary free-standing bath. Making the most of any space is at the core of interior design, creating luxurious and inviting rooms that are functional as well as aesthetically pleasing. We work with architects, developers, luxury house builders, private clients and contractors to put together a comprehensive set of designs for each project, from furniture and wallpaper all the way to special lighting technology and underfloor heating. 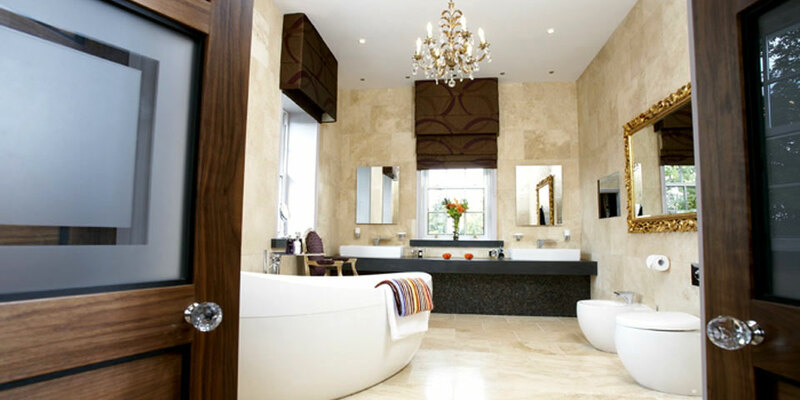 We are experts in interior design and can provide unique visual designs for bathrooms, bedrooms, bespoke storage and wardrobes, luxury bathrooms, shower rooms, steam rooms and wet rooms. Concept Virtual Design offers sophisticated and creative virtual design services for luxury developers across Buckinghamshire in Beaconsfield, Cookham, Gerrards Cross, Henley, Marlow and Windsor, as well as Berkshire and Surrey. Please contact us for more information on how we can help your development to run as smoothly as possible. Concept Virtual Design’s bespoke bathroom design in Gerrards Cross can simplify your luxury development or refurbishment by providing an accurate and comprehensive setting out service. 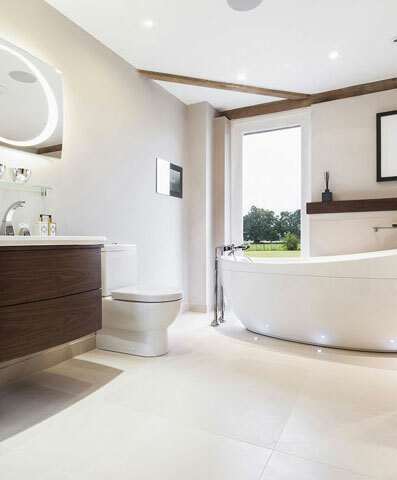 Choosing a bespoke bathroom interior design professional helps you to streamline your building schedule, avoid delays or costly mistakes, and save you time – leaving you with a beautiful finished product which is perfectly suited to your needs and aesthetic. Planning out your bespoke bathroom helps to iron out any potential issues before they arise, saving you money on alterations and contingency plans. You can also enjoy indulging yourself in the fine details of your interior design, deciding on your preference of lighting, luxury bathroom fixtures, technology, tiling, and built-in storage or furniture. We see our designs as our responsibility and will work with your contractors closely to ensure that your vision comes to fruition. 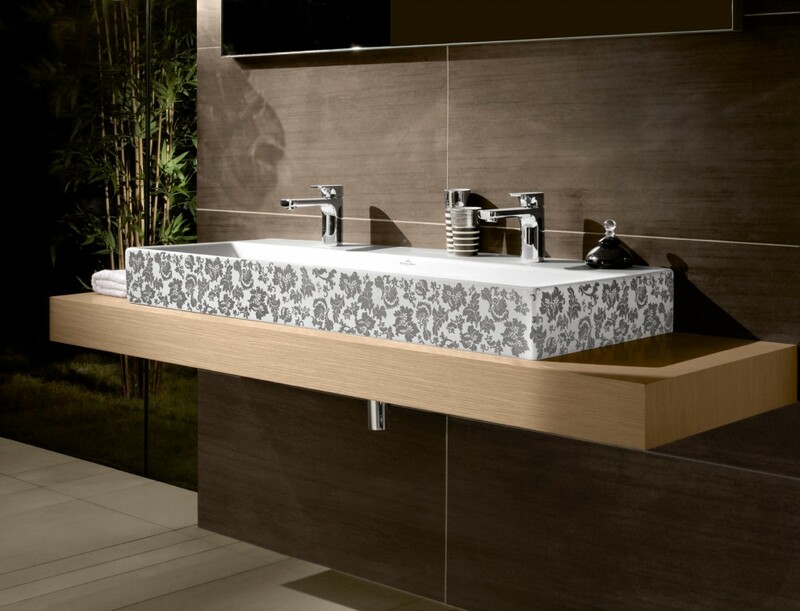 At Concept Virtual Design in Gerrards Cross we believe a bathroom is so much more than just a bath, toilet and basin! And that’s why our bespoke luxury bathroom design service offers you the highest quality fittings and intelligent interior design. Get in touch with us to discuss your project, whether it’s for a private home, a development or luxury house build. We work with architects and contractors to make sure that our designs work perfectly in every home.